Earlier this week, Xiaomi's CEO, Lei Jun, held a press conference to announce the company's new smartphone. 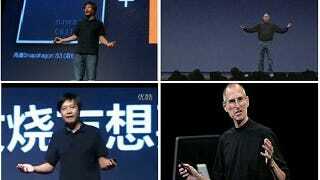 What's most striking about the presentation is not the phone, but the mannerisms and dress of the Chinese CEO. He looks and acts like a young Steve Jobs.